Unfortunately, the best laid tiles can be ruined by bad grout work. And on occasion well applied grout may develop problems. These problems can often be fixed with the right techniques. Some basic DIY skills are often enough for tile installation and grouting; and enough to fix any problems. 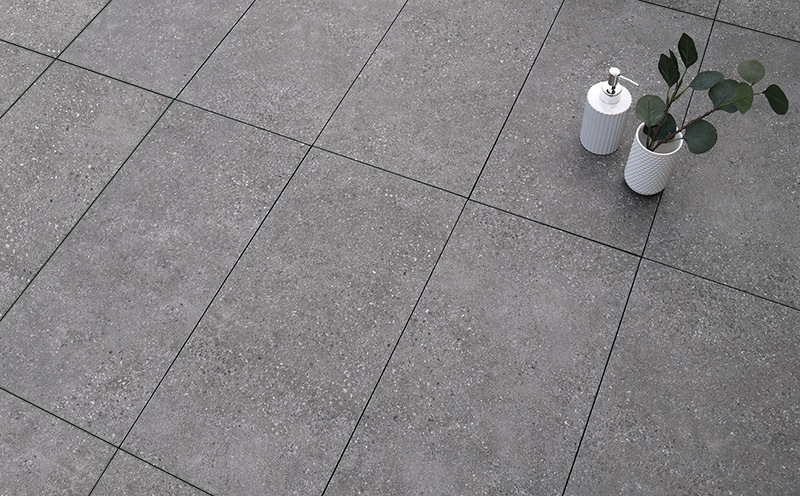 Grout is the substance used to fill in the spaces between tiles. It is primarily a mixture of cement, sand and water, though it can include some colour and other additives. Because grout is not especially water proof there is usually a sealer applied to the grout after it has completely dried. It is not common for cracks to appear in grout. This might be due to the floor still settling when a house is new or recently renovated, or it might be due to poor installation of tiles or grout. Cracks can be a problem if they allow water to get under the tiles of floor. Small cracks can be filled with a mixture of latex caulk and dry grout. Push this into the gap and then add a small amount of water. The flexibility of the latex compound will accommodate any small movement of the tiles. Major grout cracks occur with lose of hollow tiles. Hollow tiles are partly detached from the subfloor, and will literally sound hollow when tapped. These problems tiles must be removed and the areas re-tiled and re-grouted. The grout should be slightly lower than the tile surface. Sometimes part of the floor has much lower grout than the rest of the floor. You can top up the grout in a low area. Wet the grout underneath and apply more grout on top. The water will help the new grout will bond to the older grout underneath.